The eye can’t help but be drawn to the central stone element on this home with a 1/2 gable sloping upward to meet the gabled stone entry tower. 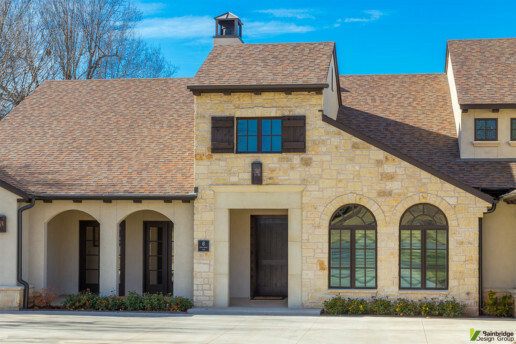 A balanced contrast is achieved by a square cast stone opening leading to the entry door which is flanked by windows with arched transoms on one side and french doors viewed through stucco arches on the other. 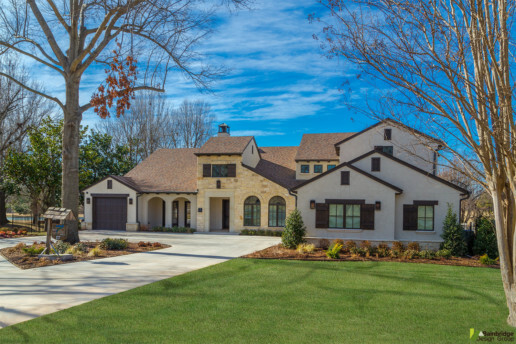 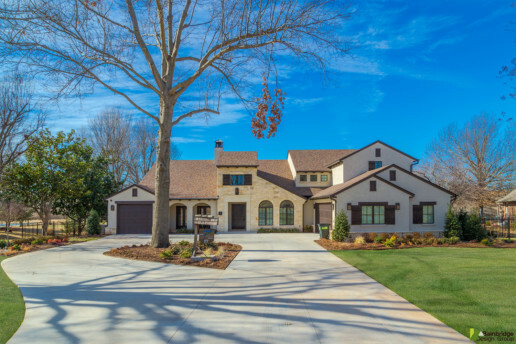 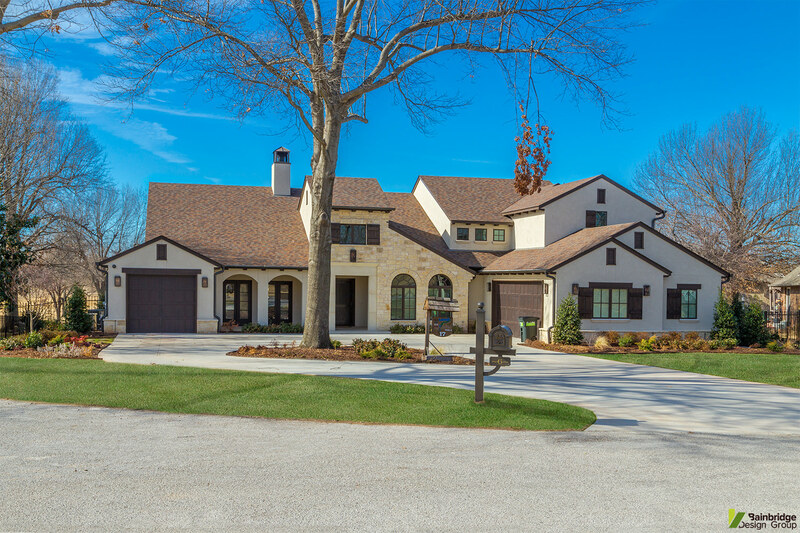 From the stonework to the architectural detailing this home has a sophisticated style derivative of it’s Spanish influences.